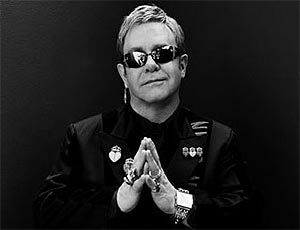 Elton John is one of the greatest musicians in music, but there is so much more to the man than his iconic songs. So we thought we’d share 10 of the best facts about the rocket man. 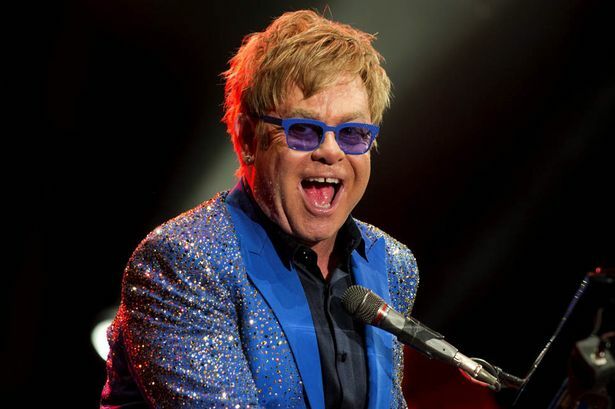 Most of us are well aware that Elton John’s real name is Reginald Dwight, but do you know his middle name? 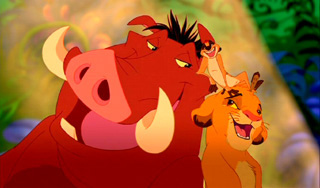 It’s Hercules. 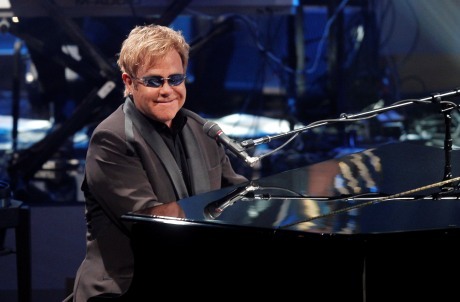 Elton Hercules John. Before he came out of the closet, Elton was once engaged to a woman named Linda. Torn up with confusion about his sexuality, he attempted to take his own life by placing his head in a gas oven. Luckily his writing partner, Bernie Turpin, found him, but he soon realised that it was just a cry for help, as the has was turned very low, he had his head on a pillow and the windows were wide open. 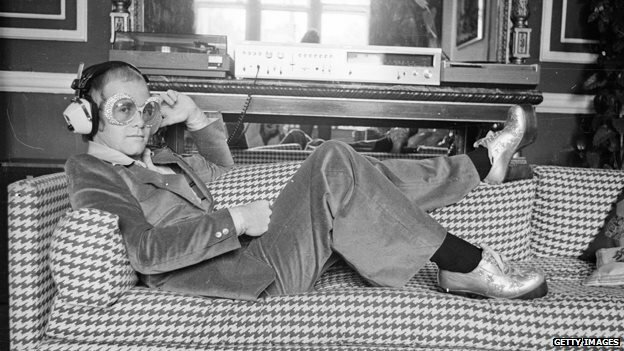 Elton used to take so much cocaine during the 70s and 80s that he would go off on crazy spending sprees. 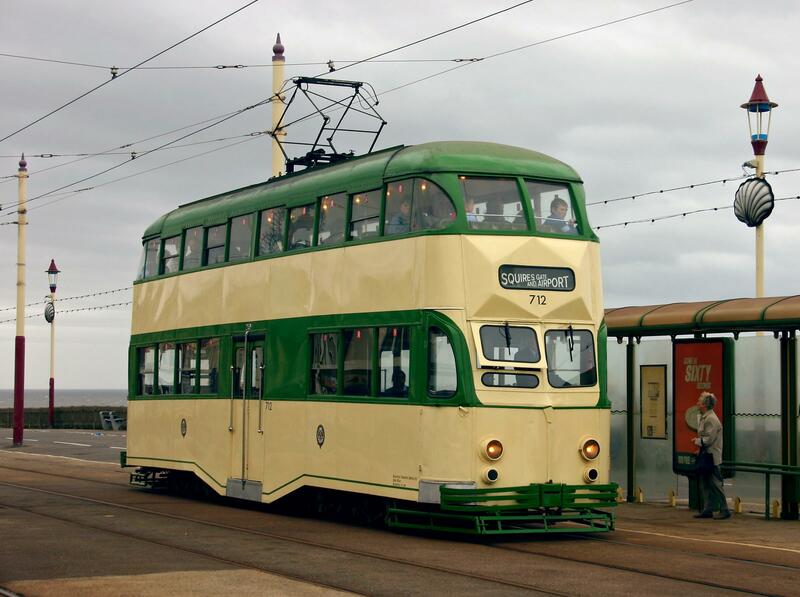 One time he had a tram shipped to his house all the way from Australia! He also once phoned the receptionist at a London hotel and demanded they change the windy weather or he would sue. When Elton finally said goodbye to drugs once and for all, a Chicago rehab centre encouraged him to write a farewell letter to cocaine. He wrote: “I sent planes for you, trains, cars, you are my whore, I love you so much but I can never see you again. If I see you in a room, I’ll leave”. 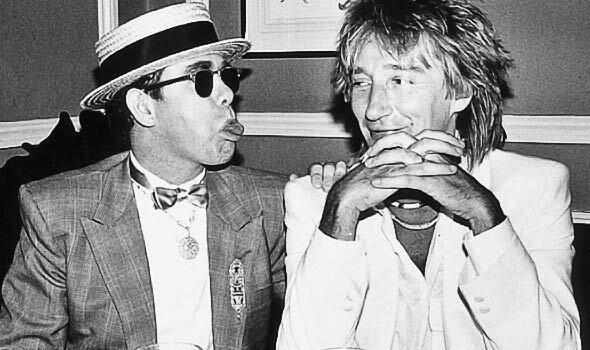 Elton John is good friends with singer Rod Stewart. With all their money you would think they could afford some expensive presents for each other. However, they both enjoy buying each other crappy gifts, with Rod Stewart once buying his friend a zimmer frame. 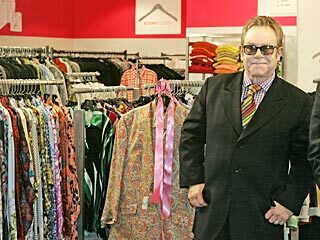 Elton was reportedly spotted at Heathrow Airport in 1991 with 42 suitcases. Each suitcase was labelled as “brown footwear”, “black footwear” and “white shirts” etc. 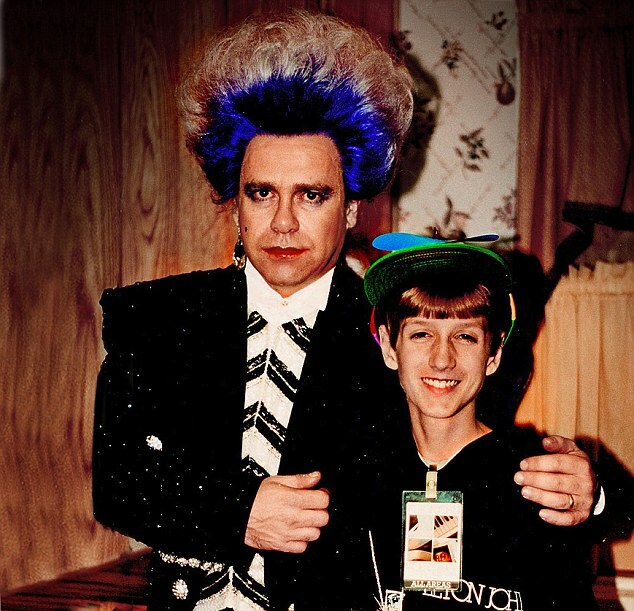 In 1985, Elton befriended a 13 year old boy named Ryan White, who was a hemophiliac who contracted the HIV disease. 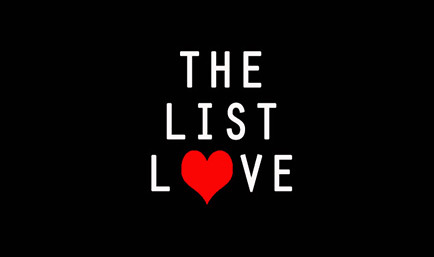 As little research about the disease had begun, Ryan spoke out about the misconceptions of the disease to judgemental school officials – which led to the friendship between the teenager and the singer. Ryan tragically lost his battle with the disease at 18 years old, but his strength is believed to be the cause behind Elton packing in the drugs and alcohol once and for all. He founded the AIDS Foundation in honour of Ryan and his family, and it has now raised over $100 million. 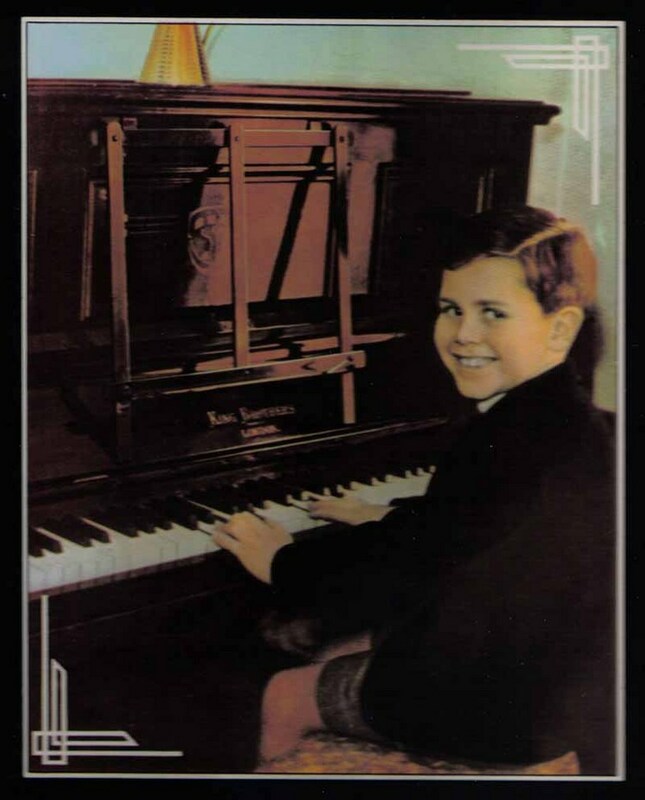 Before Elton became a household name, he had a successful career as a musician, and even played piano on the Hollies 1969 “He Aint Heavy, He’s My Brother” – and he received a whopping £12 for the pleasure! Elton began playing at the age of 3 years old, and could play Winifred Atwell’s The Skater Waltz by the age of 4. At the age of 7, he was delighting audiences with his musical stylings, and was composing his own songs in his teens. When he was just 11 years old, he received a scholarship at the Royal Academy on Music, with one lecturer claiming he could accurately play a four-page handel piece after hearing it just one time. For more music facts, take a look at 10 Frank Sinatra Facts to Fly You to the Moon.